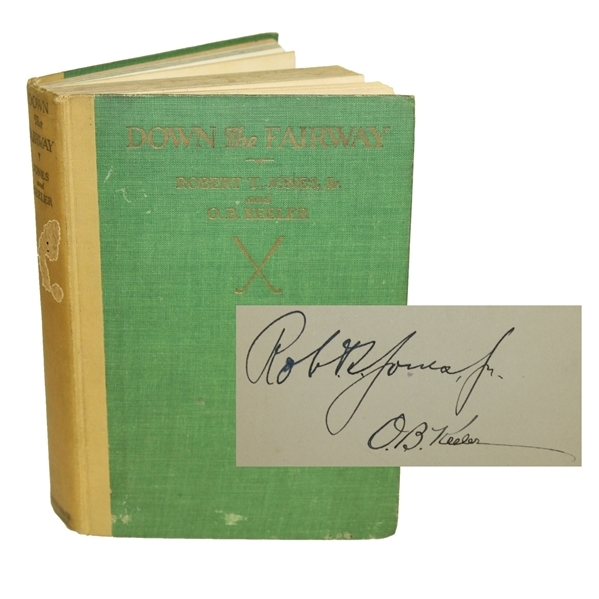 Bobby Jones was the winner of an astonishing 13 majors in eight years (1923-1930). 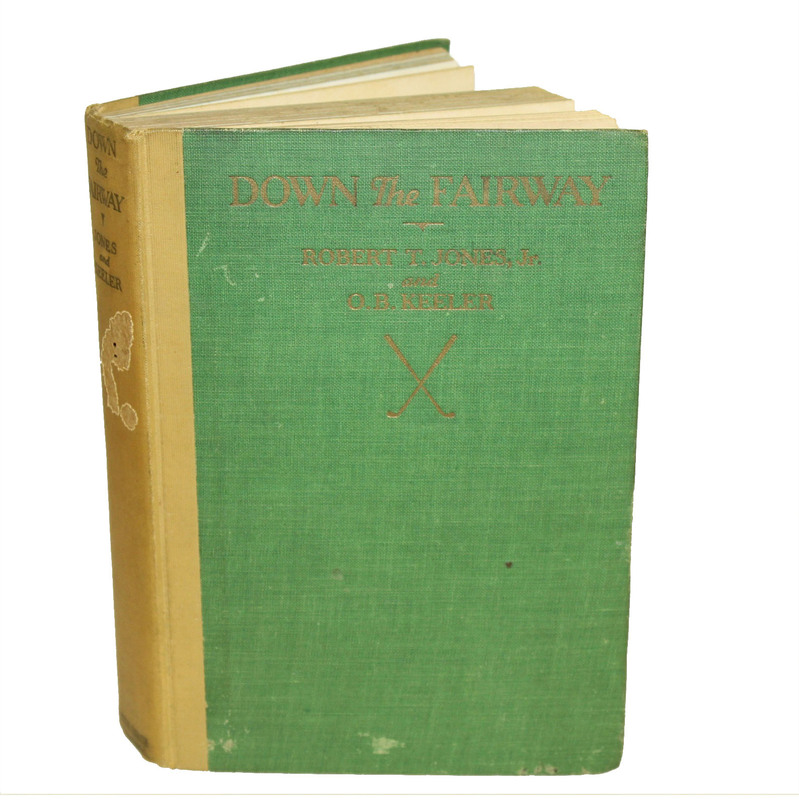 This instructional book was authored in the midst of that fame featuring insight into the young Jones' life and golf theories. 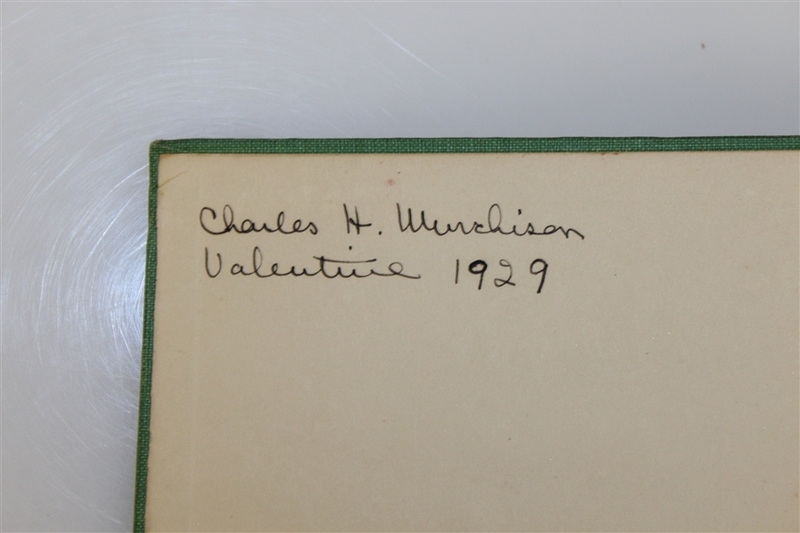 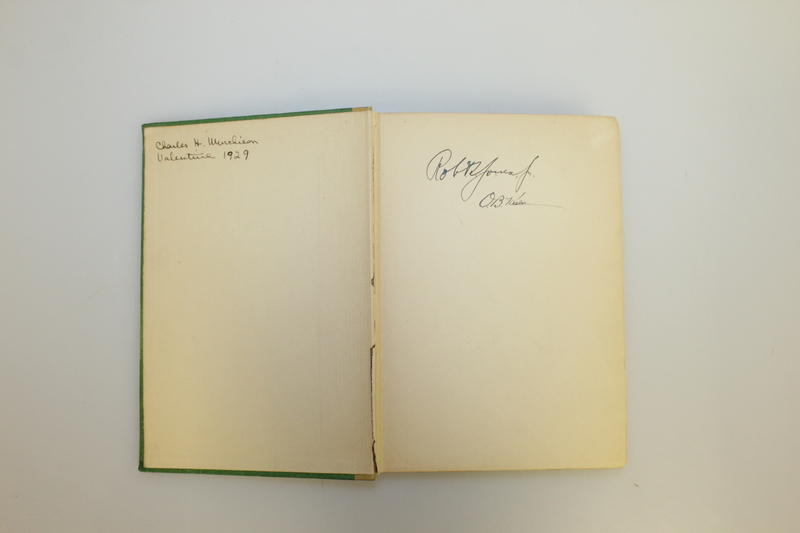 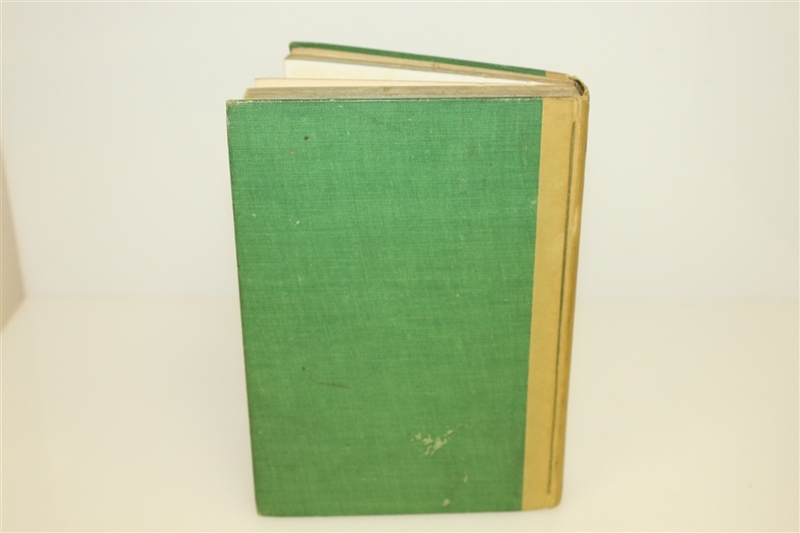 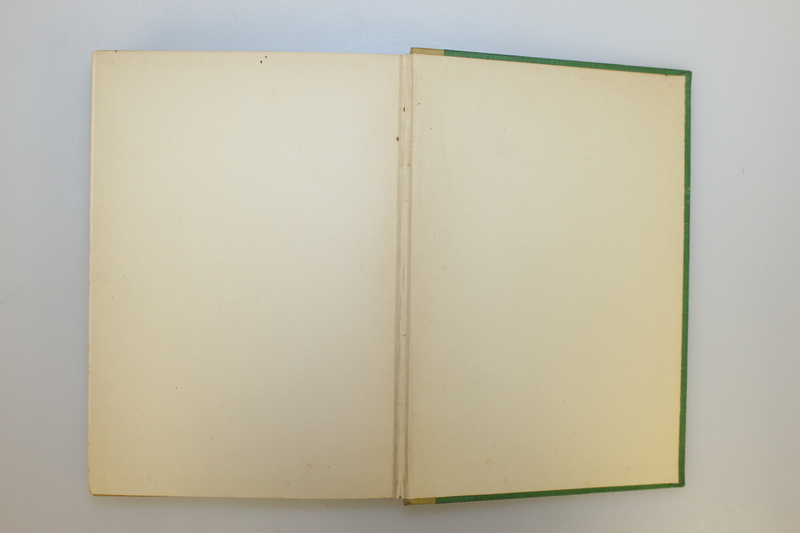 The offered book is the third printing August, 1927 edition which remains intact and in good condition (edge wear; fine internally). 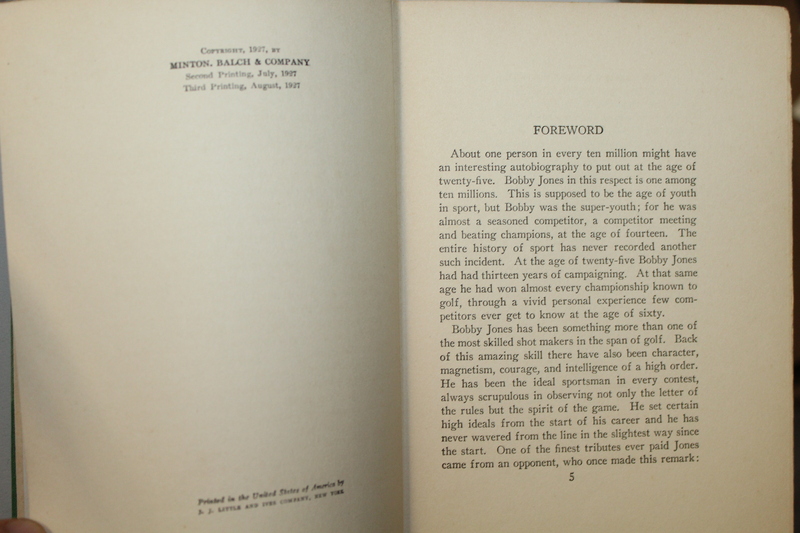 Bobby Jones' play during this the Golden Age of Sport was the rage and the publicity generated by friend, confidant and editor O.B. 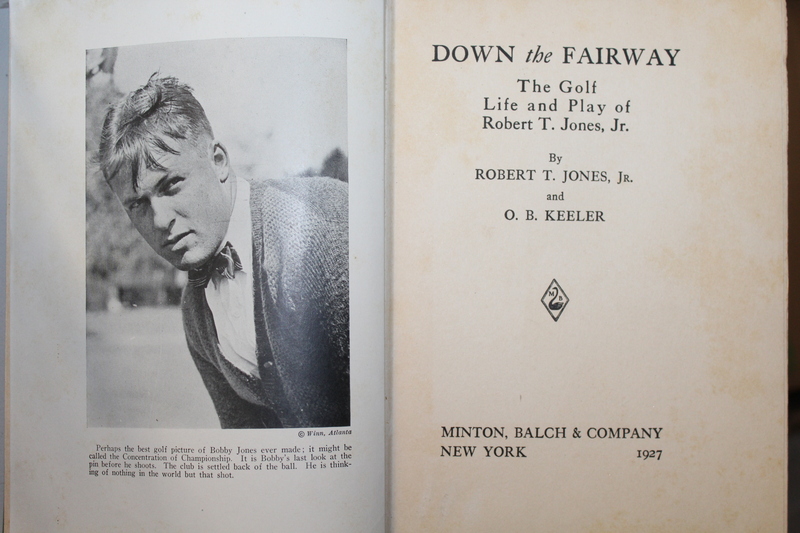 Keeler enabled Jones' to become the most influential American golfer in the history of the sport. 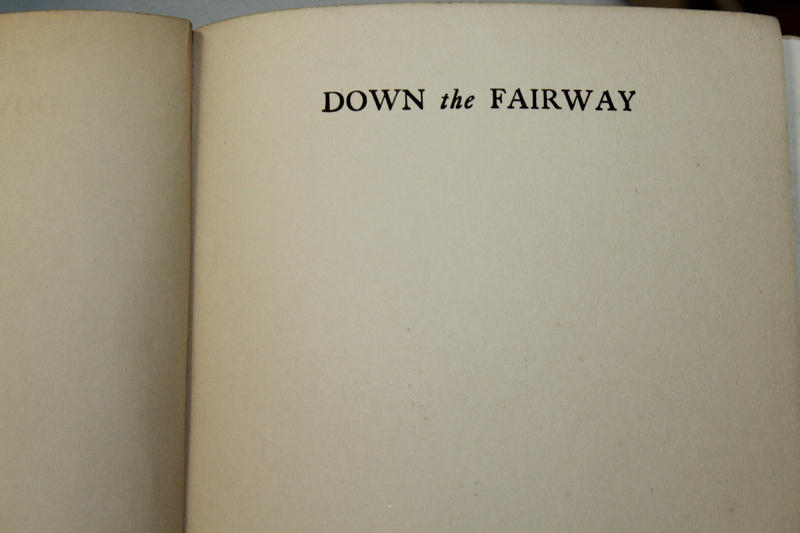 'Down The Fairway' remains one of the most sought after books when it comes to collecting golf books. 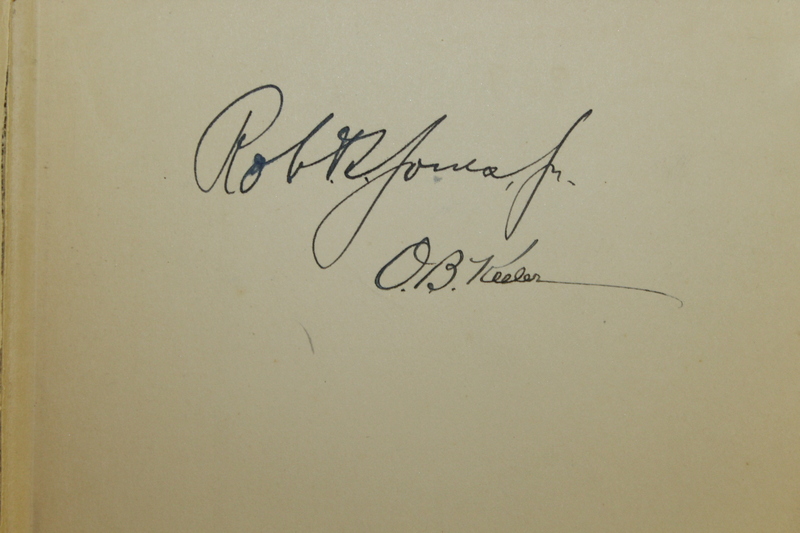 This edition has been extremely enhanced by the bold flowing fountain pen signatures of Jones and Keeler. 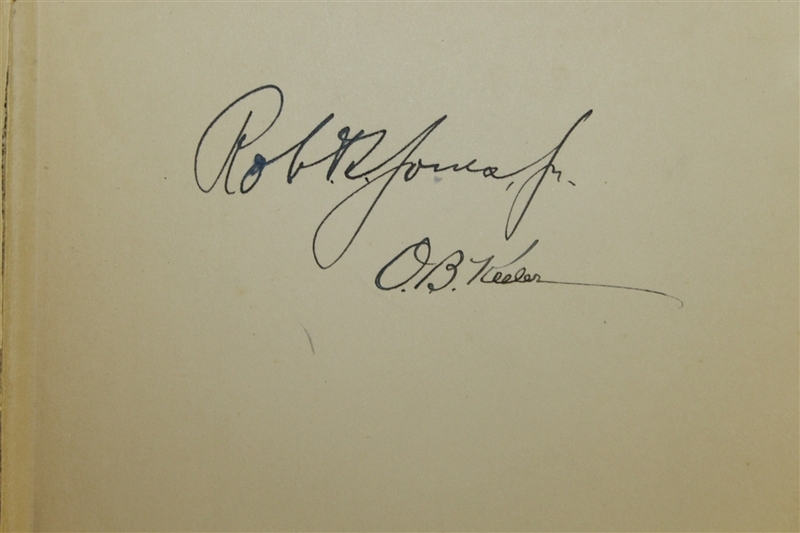 With Jones full name desired vintage signature and Keeler's perfect autograph. A wonderful opportunity presents itself here to obtain the united signatures from this dynamic duo of the golf links during the apex of the game in the roaring twenties.